In the dog days of summer, nothing beats ice cream, and there's a new spot in town to try the timeless treat's trendiest form: ice cream rolls. Located at 6750 N. Sheridan Road in Rogers Park, the fresh arrival is called Icylicious. On the menu, dessert enthusiasts will find cups incorporating several rolls of stone-chilled ice cream plus toppings, like the Hulk (matcha ice cream, marshmallows, whipped cream and strawberries). The shop also serves slushies and bubble tea. With a 3.5-star rating out of just three reviews on Yelp, the new arrival is still finding its feet, but it's early days. 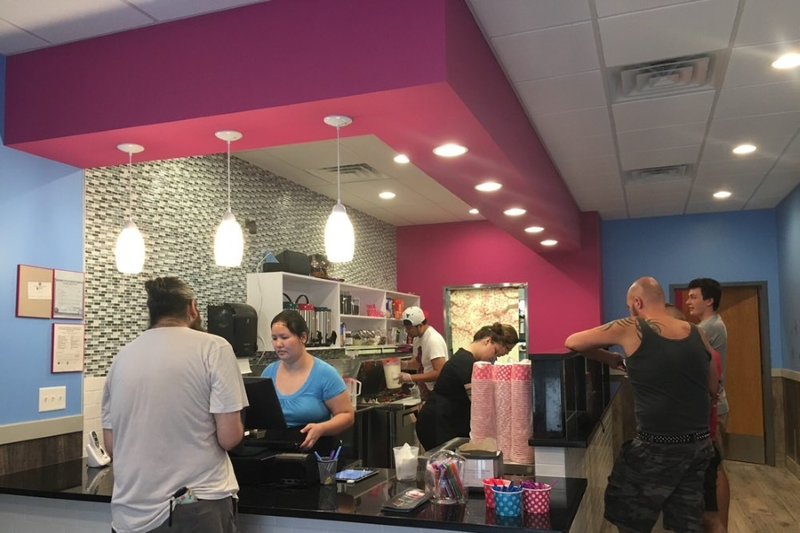 "Enjoyed the key lime pie, but came with far less toppings than others I've had elsewhere," wrote Yelper Marcee W., who was the first to review the new shop on August 1. "The staff was friendly and efficient." Yelper Hillari H. noted that despite the limited menu and small size of the establishment, "They do give a good-sized portion for the prices they charge." Roll on over to take a peek for yourself: Icylicious Ice Cream Rolls is open from 11 a.m.-10 p.m. daily.